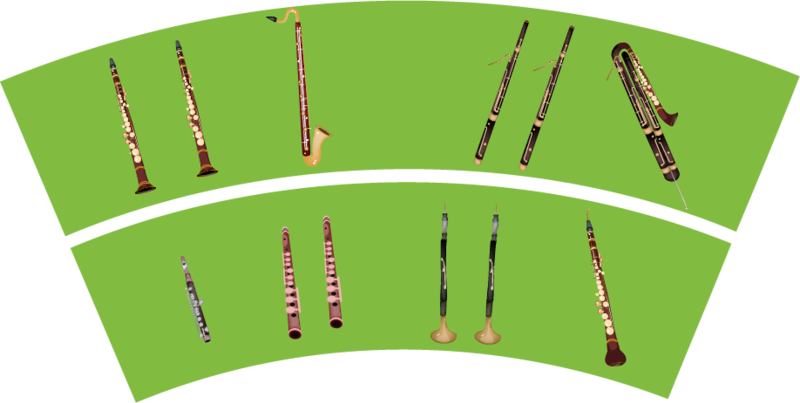 This family of instruments is called the woodwinds because the instruments were originally (and some still are) made out of wood, and all are played by a musician blowing into them. The piccolo is like a miniature flute. 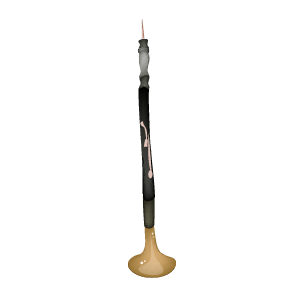 Made of metal, it is the smallest woodwind instrument and plays the highest notes. Musicians who play the piccolo typically play the flute as well. 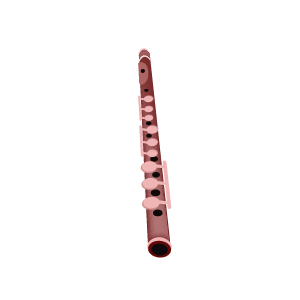 Made of metal, the flute is played by blowing air across the top of the mouthpiece like a glass bottle. Different notes are made by pressing down different combinations of keys. 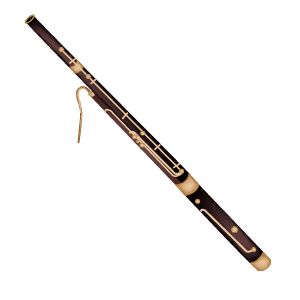 The oboe is made of wood and creates sound through a musician blowing through two bound reeds, called a double reed, making them vibrate together. The clarinet is usually wooden and has a single reed. Like other woodwinds, music is made when the musician blows into the mouthpiece and presses down different keys. 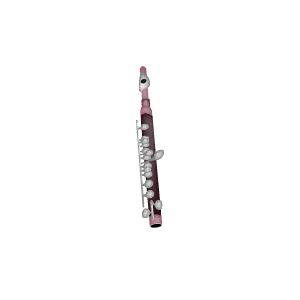 The bass clarinet is larger and plays lower notes than a regular clarinet. 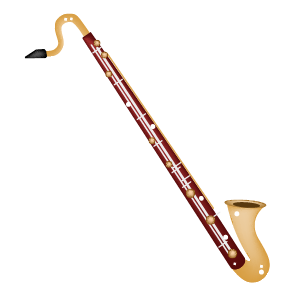 A bass clarinet has a horn at the end (similar to a saxophone). 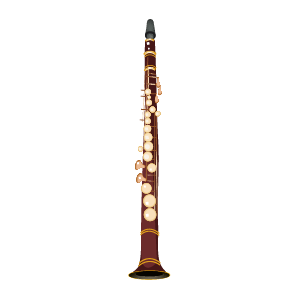 The largest woodwind, the bassoon plays the lowest notes. 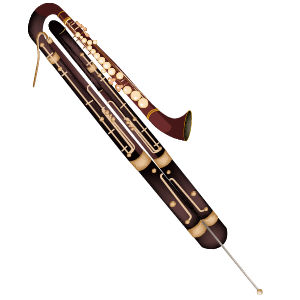 It is played with a double reed, like the oboe. Also known as the double bassoon, the contrabassoon is a larger version of the bassoon, and plays the lowest note in the orchestra!